This might very possibly be the best invention. Like EVER. It’s not turning water into wine, mind you, but to make sparkling water from tap with or without flavours added is epic. 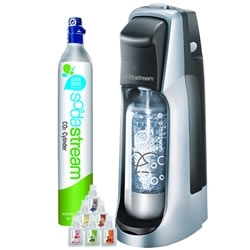 The Soda Stream reduces waste as you reuse the sturdy bottles provided, nor do you have to lug heavy cans or bottles. 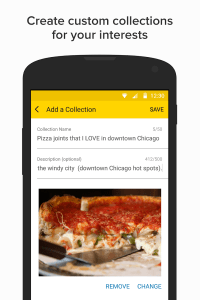 Storage space in your kitchen is more plentiful and it’s cheaper than buying soda. The sparkling naturals flavours are made with all natural ingredients and are healthier than typical pop and soda – plus you can also control the amount of flavour you add. I’ve found the carbonation refills at Canadian Tire and WalMart as well as online. It’s my new must-have appliance. UrbanMommies was provided with a Soda Stream system for review purposes. As always, our opinions are our own.